Unnamed Footage Festival Lineup Revealed! Check out the lineup of the Unnamed Footage Festival below, only a few weeks away! If you are a lover of the found footage genre or looking for innovation and excitement coming of this niche area of horror, this bay area film festival is the place to be and the place to find it! Since its conception, the Unnamed Footage Festival has evolved beyond the originally intended six strictly categorized film layout, into an international collection of new and old films. It's the first film festival of its kind and the subject is almost a taboo among horror fans, so the goal has shifted from exclusivity to celebration. This is a weekend dedicated to showcasing the accomplishments that found footage has made, the potential it possesses, and the range it can cover. This icy unreleased feature comes to us from Fright House Pictures in Spain. The film has made its rounds to several film festivals and collected an impressive handful of awards along the way! 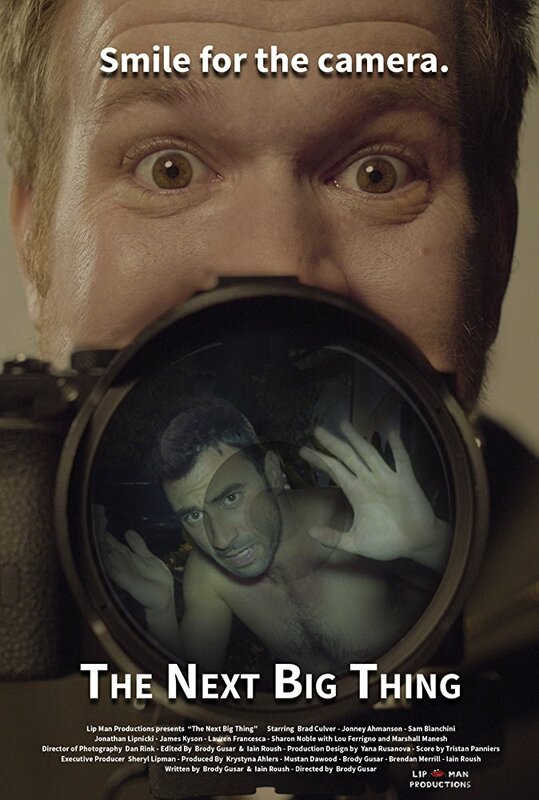 When Julian allows his deranged best friend Chuck to follow him around 24/7 with a camera, his whole world spirals out of control causing turmoil in his personal and professional life. The internet is a strange place that makes people do some very questionable things to stand out in. The Next Big Thing both deconstructs and satirizes this compulsion in this uncomfortably dark comedy. Director Brody Gusar will be joining us after the screening for a Q&A. Filmed under the radar in both Baltimore and Ellicott City, Butterfly Kisses was the unexpected faux documentary horror gem of the Silver Scream Film Festival, where it snagged the Best Feature award. Now the story of "Peeping Tom" comes to San Francisco to screen at its fifth film festival. We are extremely excited to feature the theatrical world premiere of the new edit of Descent into Darkness: My European Nightmare! This is one travel journal that will make you squirm in your seat as you attempt to differentiate script from reality. This cyber bullying cautionary tale made groundbreaking strides in the world of POV cinema, yet did not receive the reception that it deserved from audiences. But in the context of this festival, we plan to highlight how impressive a film entirely shot on Skype really is. An exposé on the life of a cannibal in the present day is not something that you'd expect to be funny but somehow Chris Power manages to combine the two in this gory Canadian film. Obscured over time, Long Pigs has made it to countless lists of hard to find, need to see found footage movies. Boots on the Ground came to us in the last days of submissions and we couldn't be more excited to have this award winning UK feature make its North American premiere in San Francisco! Not only was Adrian Tofei in character through the entire shoot of Be My Cat, he was already getting into the mindset of the character before the cameras were ever rolling. So he knows how to turn an audience against him. And no, he is not really obsessed with Anne Hathaway... as far as we know. This experimental documentary breathes new life into the videos that get smashed into a compilation and forgotten. They are used to tell a unique narrative and almost entirely made up of privileged moments that you couldn't get any other way than with the ever present dash cam. Shot with only a vague idea of what each character's motivation would be, The Triangle collected over 200 hours of unhindered footage. The setting, yurts in the middle of the desert, was real, and the filmmakers lived there for the duration of the shoot. All the pieces come together for this baffling and nerve wracking documentary. Several cast and crew members will join us after the screening for a Q&A! #Screamers may remind you of another mysterious documented journey, and there's good reason for that. Co-writer and star, Tom Malloy, said that this was meant to be the horror fan's Catfish, and it pushes past where its inspiration stopped, ensuring that you'll be thinking about this film long after it's over. 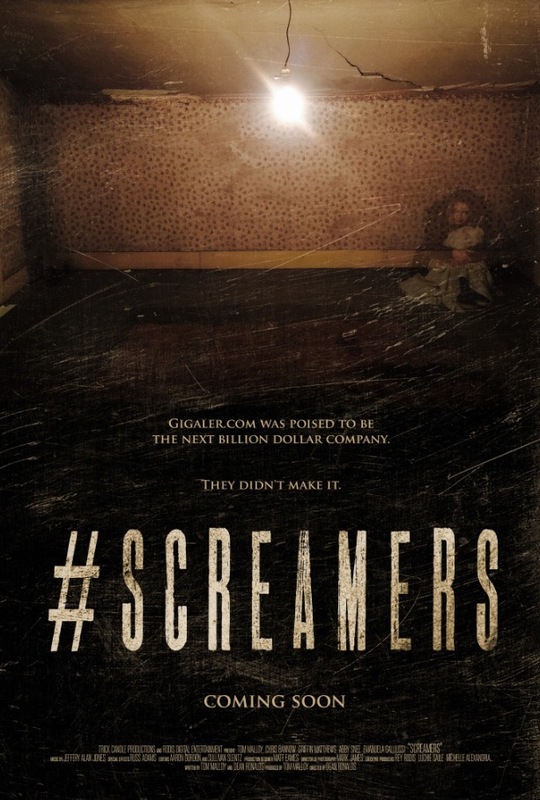 #Screamers is still making its festival rounds and picking up awards along the way. 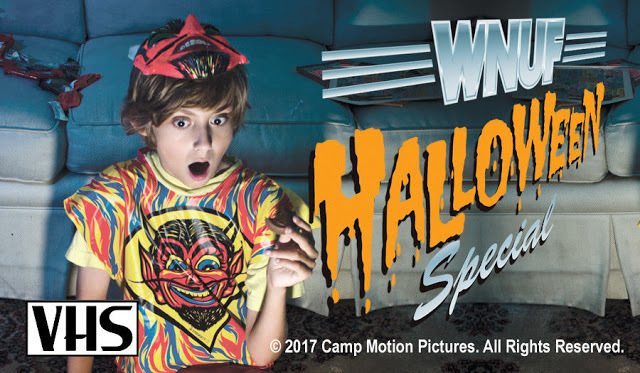 The WNUF Halloween Special is a stunning found footage film expose of terrifying supernatural activity that unfolded at the infamous Webber House, the site of ghastly murders. Local television personality Frank Stewart leads a group of paranormal investigators including Catholic exorcist, Father Joseph Matheson and the prolific husband-and-wife team Louis and Claire Berger. Together, the experts explore the darkest corners of the supposedly haunted Webber House, trying to prove the existence of the demonic entities within. WNUF recreates the 80's like nobody's business, from the plastered smiles on every news anchor, to the locally made commercials! After a weekend of emotional turmoil, end the festival with a spooky haunting on Halloween night! Get your day or weekend badges at FilmFreeway.com and come out to the Balboa Theatre March 24th & 25th! You can also follow Unnamed Footage Festival on Twitter, Facebook and Instagram.